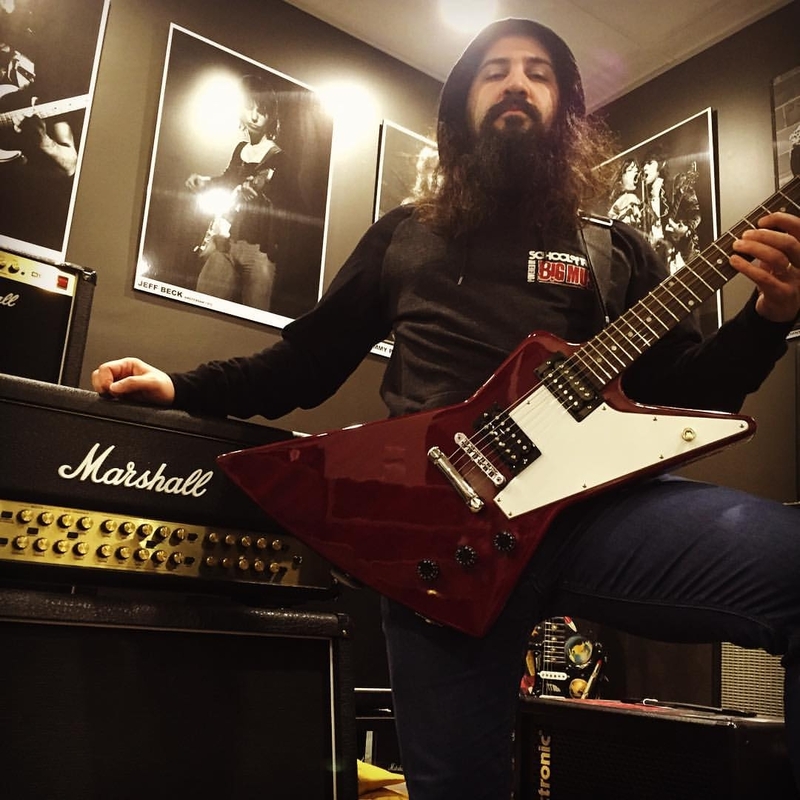 Burnt City is a project of Australian guitarist and composer Aydin Zahedi, who together with the help of Gus Monsanto, Mike Lepond, George Kollias and Bob Katsionis recorded an EP titled ‘Resurgence.’ In an interview for Prog Sphere, Zahedi talked about the release, working with the mentioned musicians, technical aspect of the record, and more. Define the mission of Burnt City. Making music playing gigs and collaborating with other musicians. Tell me about the creative process that informed your debut EP Resurgence and the themes it captures. For each song it was different, Usually when I come up with a riff that I like it doesn’t take long to build the whole structure base on that riff, probably a day or two usually and I might add some details down the road. for instance the song Metamorphosis was my translation of the song ‘fuel for hatred’ by Satyricon, one of my friends came to my home Home and showed me Satyricon’s video clip and when he left I spent the rest o the day writing Metamorphosis. the song Seven happened in half a day in studio while I was playing around with my new Guitar. the intro riff of the Clown Parade by Annihilator inspired me to write resurgence. When I have a riff that I like I play it over and over again and I write variations and then I write down the whole structure. Then I explained the atmosphere and what I had in my mind to my friend Amir Ghaderi, and send him the drafts that I had with demo songs, and he wrote these brilliant lyrics. I use MIDI and drum loops for demos, and I play the other instruments with Guitar and explain the sound that I have in my mind. but with Monsanto, Kollias, Lepond and Katsionis it was different I just sent them the demos, and they came up with their own original lines. What is the message you are trying to give with Resurgence? It is mainly about personal experience and feelings, I don’t want to specify the message or meaning because someone might interpret the songs in a different way and I don’t want to destroy that image and interpretation by specifying what the message is and what each song is about. The EP includes a great line-up with Gus Monsanto as singer, Mike Lepond on bass, George Kollias on drums, Bob Katsionis on keyboards, and of course you as a guitarist. How did you go about bringing them to work on the record? I contacted them on Facebook, I sent them the demos and asked them if they like how it sounds and if they have time and interest to play in this EP. it was a great experience working with them, I have met George Kollias few times, and I met Mike Lepond once when he visited Sydney with Symphony X, but I have never met Gus and Bob, hopefully someday soon. But for me it was very unreal that they accepted to work with me, because I was their fan and it was great feeling! First I record the Guitar riff that I like so I won’t forget it, and then I play some variations until I find the right rhythm for other sections of the songs, and then I write it down as MIDI, then I record the Guitars and add drum loops. I check the whole While we were recording, I backed up every file that they sent to me on 3 external hard drives and cloud services. I hope so hehe, honestly the songs are not connected in any way, but I came up with the ideas in a short period of time and I was thinking of the other songs as I was moving forward. it took me about a month to decide the order of the songs. The first song prelude was the intro of the song seven, but since it was a minute long with a different tempo I decided to separate it, because I wanted the song Seven to grab instant attention with it’s eastern theme, and I wanted to finish the EP with Armageddon because it has a different theme and has a catchy chorus, hence I think it is a good way to finish the EP. But I would say yes, I thought about it a lot and I listened to the whole EP with different orders to make a decision. I recorded the demo Guitars, and George Played and recorded the drums in his own studio, so I had the demo Guitars with Drums, and then Mike recorded the Bass lines at LCBW recording studio in New Jersey, after that it was Gus’s turn to write and record vocal melodies, and then Bob recorded The Keyboards at his own studio. I recorded the Guitars again at home, with Axe FX-II then I sent the DI signals to Alex for re-amping (we used Mesa Boogie rectifier and EVH III head). The only part that I didn’t re-amp is the pre solo section in the song Wild Hunter, that’s just Axe FX-II. How long Resurgence was in the making? With the current line up 2 years, and it was due to busy schedule that each member had, they were touring and I had to wait until they go back to their country and find time to go to studio. But I tried to record these songs since 8 years ago with different people, but it didn’t work out, and I lost all the files 2 times for various reasons, and it didn’t work out well. But I am happy, because I ended up working with these awesome musicians. Annihilator, Megadeth, Helloween, Dream Theater, Symphony X, Firewind, Ark, Judas Priest, Satyricon. It is fascinating, it made things a lot easier. It made music accessible for everyone with any budget, people can unleash their creativity with cheap and portable stuff, which is awesome, not everyone has the privilege of having a massive house and a 100 Watt amp, or an acoustic piano and analog synth, but almost everyone has a smart phone that they can use to create music. I have seen people writing beautiful pieces on smartphones or record really good quality demos with a free app and a cheap interface. I think that is brilliant. As long as it is about creativity I am all for it. Frankly I have never thought of that, I know there are some bands with certain agenda, but I have never thought like that, it is a form of expression for me, of course I have things to say and I have my own ideology but in general for me music is music, I enjoy playing it and I love the whole process of writing. I am working on the new album, although it is very hard with little time that I have, but I am hoping to finish the album as soon as possible, in the meantime I am looking for local musicians to start playing some gigs and hopefully record the upcoming album here in Sydney with local musicians. 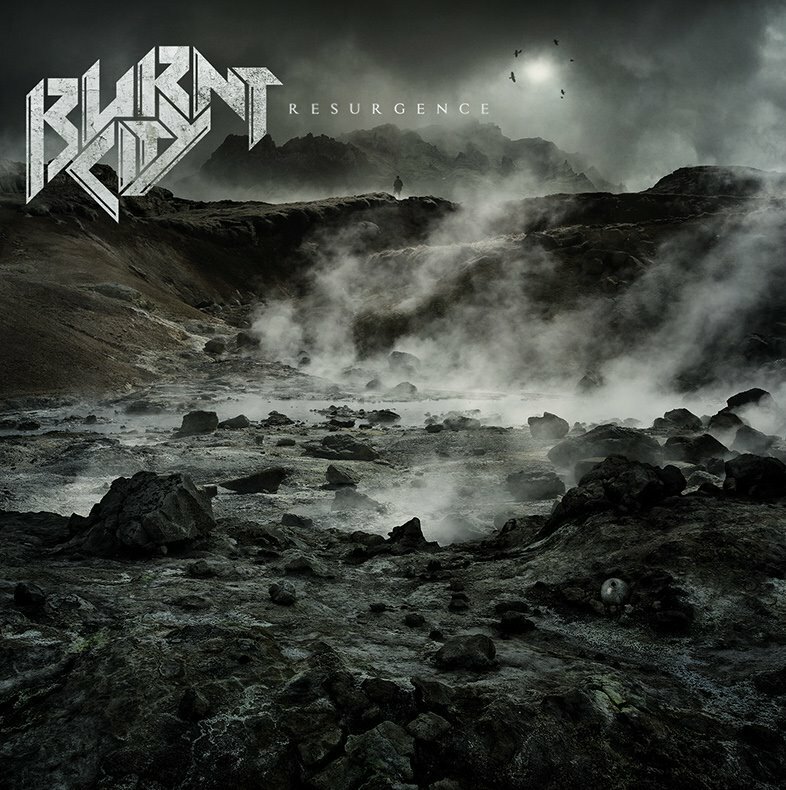 Resurgence is available now and can be ordered from Burnt City’s official website here. Follow Burnt City on Facebook.